Hikers skipper captain Nicole Eastman maunders through saints’ the defence during their 5-1-win last evening. 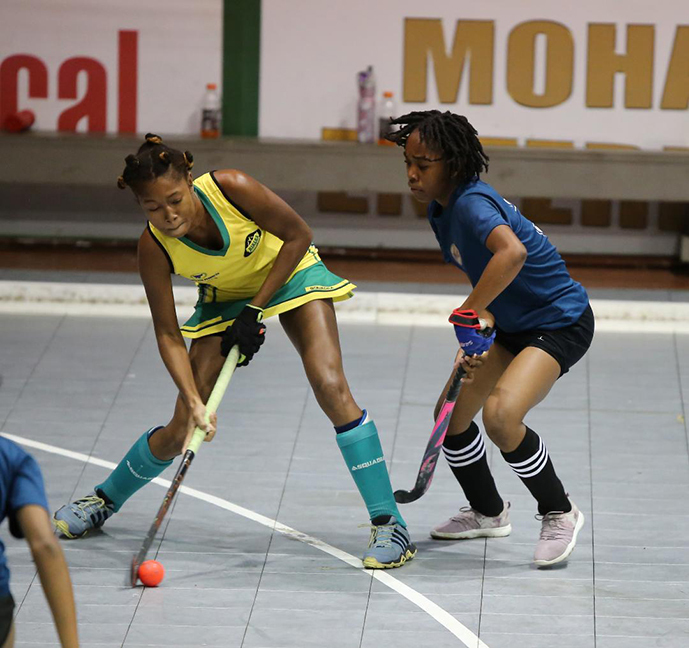 Defending champions GBTI GCC Tigers along with arch-rivals Woodpecker Hikers, produced dominant showings in the women’s first division category on the opening night of this year’s annual GTT National Indoor Hockey Championships at the Cliff Anderson Sports Hall (CASH) last evening. Tigers, in their opening match clawed their way to a 4 – 0 win over the Bingo GCC Spartans on the back of a double from Gabrielle Xavier who scored in the 14th and the 32nd minute. The other two strikes were converted by Marzana Fiedtkou and Sonia Jardine. Hikers, on the other hand, were equally cruel against Saints whom they trounced 5-1. 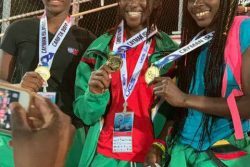 Hikers’ goals were evenly shared as Maria Munroe, Latacia Chung, captain Nicole Eastman, Michelle Mahabir and Tianna DaCosta all ticked their names on the scorecard while Charlia Webb recorded the lone strike for Saints. The men’s’ first division category saw the experienced Askoju Simon netting four goals for Old Fort Lamborghini who humbled the national under 18 boys, 5-1. 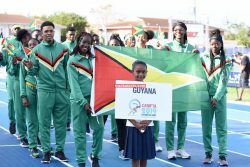 Pepsi Hikers were also in a dismissive mode as they trounced Saints 6-2 after a hat-trick from the impressionable Aroydy Bransford and national skipper Robert France. Meanwhile, second division action saw SHC Sensations defeating GCC Pitbulls 2-1 while Jael Gaskin scored four sensational goals in Old Fort Top Form’s 6-3 win over Hikers Young Guns in the men’s category. Women’s second division matches saw Saints edging past Old Fort Goal Chasers 1-0 as Woodpecker Hikers and Bingo GCC Spartans drew 2-2. The championship continues this evening at the same venue.